The search for the UK’s brightest emerging talent in the golf greenkeeping industry is now on. The British and International Golf Greenkeepers Association (BIGGA), American manufacturer of turf maintenance equipment, Toro and Reesink Turfcare, Toro’s UK distributor, has joined forces to launch their annual competition. 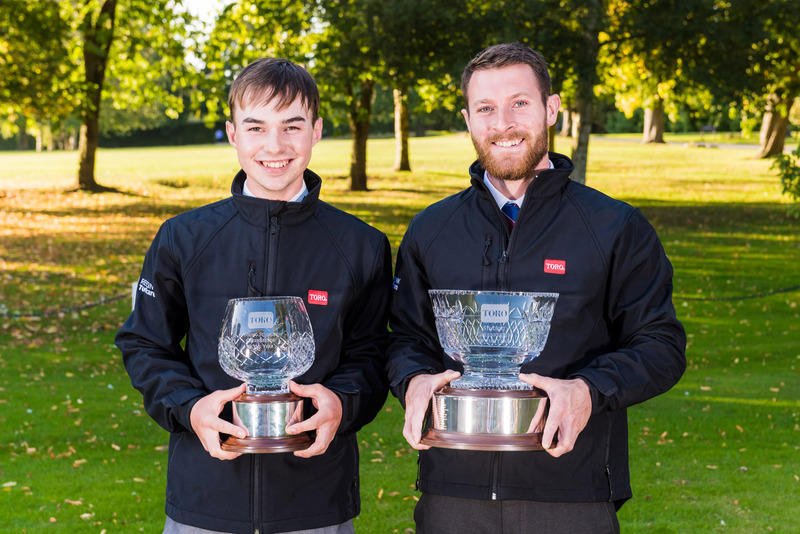 The Toro Student Greenkeeper of the Year Awardsare a nationwide competition to uncover the best student greenkeepers from among the ranks of BIGGA members. The winner of the main award will head to the University of Massachusetts for a six-week scholarship to study winter turf management, while the winner of the Young Student award will earn a two-week work experience placement at the exclusive Vidaubin Club in the South of France, in addition to a Continue to Learn package at BIGGA’s annual turf management exhibition each January. Prizes are also up for grabs for the runners-up in each category, while those who nominate or endorse the applications of the winning students– who can be course managers, head greenkeepers or college tutors – also receive a major prize. Toro Student Greenkeeper of the Year, 2018 Daniel Ashelby of The Mere Golf Resort says: “Right up until the announcement, I just felt very calm, but then when they read my name, my heart just started going crazy! Winner of the won the Young award, 2018 Danny Patten says: “I applied for the competition through the BIGGA website and was nominated by my course manager, Jon McMullen. The reason I applied for the awards was to see where I was, compared to other greenkeepers of a similar age and qualifications. David Cole, Managing Director of awards sponsor Reesink Turfcare, adds: “The Toro Student Greenkeeper of the Year Award has stood the test of time and is as relevant today, over 30 years since its inception, in a world now filled with sponsored awards.